He explains how in the early 1900’s the need to incur debt was perceived as an embarrassment, a sign of personal failure, and something to be hidden. 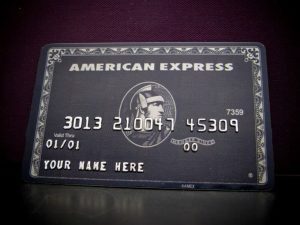 However, less than a century later, the right color and brand of credit card is an indicator of a lofty class status. Today, misalignment shares the same negative aura that debt suffered from prior to the 1920’s. For most people, the word misalignment brings to mind dysfunction and disharmony. Can you imagine anyone admitting to their friends and family “The team I run is badly misaligned!”? However, as with debt, misalignment has the potential for good. In the same way that debt and credit are two sides of the same coin, so too are misalignment and non-likemindedness. Misalignment is understood to be where two or more people do not agree on something: a current situation, a new objective, or the potential for a problem. In fact, that actually describes two people who are non-likeminded. Uncovering the cause of non-likemindedness permits a new, shared understanding which allows all sides to align around what actions will be taken. Rather than losing sleep over our misalignment, wouldn’t it be better if we could sleep soundly knowing the benefits we gained from reconciling our non-likemindedness? Leaders are rightly hesitant to tell their friends and family that they run a misaligned team, but should feel pride in describing how they helped a non-likeminded group generate valuable, coordinated actions. Avoid your misalignment and seek out your non-likemindedness, because left unsurfaced you will be paying the equivalent of a hefty finance charge on your next project.